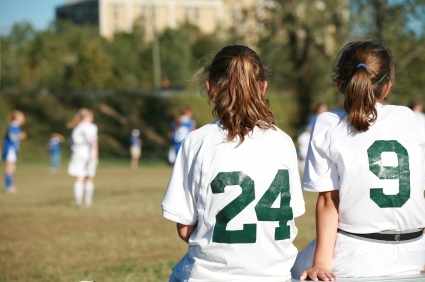 As a coach, make sure all of your players know they play a role in the team’s success and there simply isn’t room enough on the field for them all to start. The first substitute should be considered and should consider himself as important as any other member of the team. His selection should be calculated as a major part of the strategy used to win a particular game. The use of a sub gives your team a chance to introduce a possible change of attack if needed or the opportunity to reinforce a defense. Therefore a strong substitute should be given careful consideration to cover the eventualities of a change in strategy or replacement for an injury. Most coaches select a team which they think is the strongest and best suited for the particular match they’re playing in. Basically they select a substitute hoping not to have to use him. When a change is forced by circumstances, it should involve as few positional alterations as possible. Some players, because of their versatility, make ideal substitutes and are able to adapt themselves easily to play a variety of roles. It’s a good idea during practices to allow top sub players free­dom to express themselves in positions other than the ones they normally play on game days. Experience of this kind can prove invaluable in emergencies. 1) The venue of a match can have a strong bearing on the selection. Playing away in a very important match can mean that a defender as substitute will be more beneficial than an attacker, whereas an attacker might be selected for a home tie when the advantage of familiar surroundings can be taken into account. Playing away, a team is apt to be more cautious than when playing at home. 2) Knowing your opponents’ weaknesses may influence your choice of substitute. The opposi­tion may be known to be poor in the air, slow on the turn, weak physically or tactically unsound and a player suited to take advan­tage of these weaknesses should be selected. Strengths and tactics used by opponents can have a bearing on the tactics you employ and consequently the selection of the substitute to give maximum cover. One of the most difficult positions to cover is that of goalkeeper. A considerable amount of time should be spent in finding a replacement from within the team for the keeper position. Throughout the season, the substitute keeper should be given as much practice time during training sessions as the regular goalie. Use the substitute goalie as well as your other subs in all soccer drills during practice time. 1) Once you have a sub in mind, keep an eye on him while the game is going on. Sitting or standing for a long period in all types of weather can affect his efficiency and mood. He must have the right clothing to keep him warm and dry in poor conditions which means plenty of thick sweaters under a warm suit. His shoes should not be tied too tight because it can affect the flow of blood causing the feet to become cold. He should never be allowed to become cold on the bench. 2) The substitute should sit with the coach and discuss the events of the game. He’s in a very good position to see what’s going on and what’s required should he be used. With this in mind, his concentration on the game must be 100 percent so that he is fully prepared and in the right attitude of mind to go on at any moment in the game. 3) Finally, the coach should try to give the substitute as much warning as possible that he’ll be entering the game so that he can adjust his foot­wear and get his body physically prepared by doing a few stretching exercises. When it comes to young players, pee wee age up to under ten years old, a sub will often see himself as “not good enough” to be a starter. As a coach, make sure all of your players know they play a role in the team’s success and there simply isn’t room enough on the field for them all to start. If you’re in a league that’s fairly non-competitive, let your players rotate starting duties throughout the season. It will give them confidence and also the realization that their participation is helping their team.